Cheers, baseball fans! The season is here. No, not the regular season. That began two weeks ago in Japan. After the first week of real games, we’ve moved on to overreaction season. Every year, fantasy owners—many of them in desperate need to replace injured players—will go overboard to jump on the bandwagon of players who may have just enjoyed their best week of the season. That’s why we have our annual Tuffy Awards—to pay tribute to the little-known players who start the baseball season ridiculously hot, get fantasy owners overly excited to add them to their rosters and, ultimately, let everyone down by returning to their near-replacement level of production. The inspiration for the award did just that 25 years ago. On Opening Day in 1994, unheralded Chicago Cubs outfielder Karl “Tuffy” Rhodes hit three home runs off Dwight Gooden and etched his name in baseball history. Fantasy owners who grabbed Rhodes off the waiver wire were rewarded with a grand total of five home runs and a .234 average the rest of the season. SP Eric Lauer, San Diego Padres. Overshadowed by talented rookie Chris Paddack (who made the successful jump from Class AA to the majors by allowing one run in five innings in his Padres debut), Lauer was the one who got the ball on Opening Day. Although he didn’t dominate hitters the way Paddack did, the 23-year-old tossed six shutout innings against the San Francisco Giants and picked up the win. The reason we can’t dismiss Lauer’s performance is he started doing this at the end of last season. Over his last five starts in 2018, the right-hander posted a 1.07 ERA in 25 1/3 innings. And he earned his Opening Day start by tossing 10 scoreless innings this spring. SP Sandy Alcantara, Miami Marlins. Though he throws as hard as just about anyone in the majors, Alcantara hasn’t been able to throw strikes in his brief stints in the majors, leading to an unsightly walk rate of 6.2 BB/9. However, control wasn’t an issue in his first start after winning a rotation spot this spring. He struck out six without allowing a walk in blanking the Colorado Rockies on four hits over eight innings. Consistency is still a question for Alcantara, but he has a great home park and his upper 90s fastball will give him a chance to succeed—especially if he can command it the way he did against the Rockies. OF Jorge Soler, Kansas City Royals. A classic post-hype sleeper, Soler seems older than 27. Injuries derailed him last season, but he crushed the ball this spring and led the league with 18 RBI. Soler has carried his hot hitting into the regular season, going 5-for-11 (.455) with three doubles and five RBI in his first three games. There’s a lot of swing-and-miss in his game, but there’s a lot of power too. The differences between good teams and bad teams can be amplified in small samples. Consider: six teams finished the opening (half) week of the regular season with a collective batting average under .200. The Indians even finished with a slugging percentage under .200. SP Jake Odorizzi, Minnesota Twins. Odorizzi took advantage of the inept Indians offense to tie his career high with 11 strikeouts in six innings. Only Max Scherzer and Corbin Burnes struck out more batters in their opening-week starts. The whiffs will generate excitement on the waiver wire, but that’s never really been Odorizzi’s game. Even in this strikeout-heavy environment, he’s averaged more than a strikeout per inning only once in his career—and that was in 2014. SP Matt Shoemaker, Toronto Blue Jays. All four of the Blue Jays’ starters in their season-opening series against the Detroit Tigers pitched at least five scoreless innings. Marcus Stroman and Aaron Sanchez have been viable fantasy performers before. And they’re still young enough for fantasy owners to believe they can rebound from injury-plagued 2018 seasons. But Shoemaker? The 32-year-old hasn’t had a healthy season since 2016 with the Angels. And even then, he was merely replacement-level and susceptible to the home run. He tossed seven shutout innings, allowed just two hits and struck out seven. But this was against a toothless Tigers team that hit a collective .156 in four games. It’s doubtful the Shoemaker fits in most fantasy formats. SP Matt Moore, Detroit Tigers. Blue Jays' hitters weren’t much better in that series, hitting .177. Like Shoemaker, Moore allowed only two hits in seven shutout innings. In his first season with the Tigers, Moore will have a favorable home park—but that hasn’t really helped him in the past. He had a 4.52 ERA in 2015-16 with Tampa Bay and a 5.12 ERA in parts of two seasons in San Francisco. Last year in Texas, he lost his rotation spot and finished with a 6.79 ERA. It’s hard to see this Tiger, especially one in his age-30 season, changing his stripes. 2B Kolten Wong, St. Louis Cardinals. Perhaps the closest we came to a Tuffy-like performance in 2019 was from the light-hitting Wong, who hit a pair of home runs in the Cards’ opener in Milwaukee. He finished the week with eight hits in 15 at-bats (.571) with four runs scored, four RBI and a pair of steals. It helped that the Cardinals faced four right-handed starters to begin the season, since Wong hit .241/.301/.313 against lefties last season. While Wong has a pair of seasons with double-digit home runs and stolen bases, the last time he did it in either category was 2015. Though he’s an excellent defender, a platoon is still his most likely role. 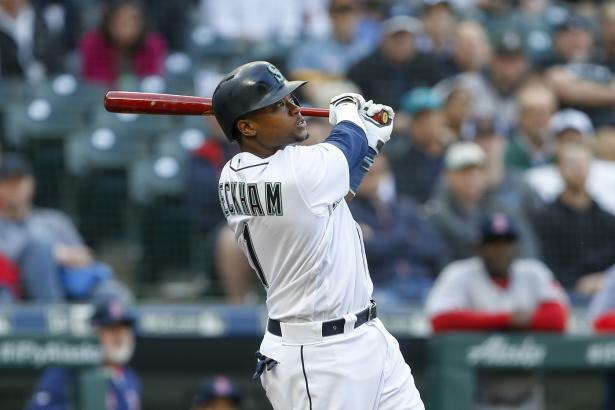 SS Tim Beckham, Seattle Mariners. The top pick in the 2008 draft has shown flashes of excellence before, but only in small doses—namely two years ago when he hit .278 with 22 home runs for the Rays and Orioles. He cracked a pair of home runs off Boston Red Sox ace Chris Sale after hitting one in the season-opening Japan Series. After the first "week" of play, Beckham was hitting .435, was tied for the major league lead with eight runs scored, and was one behind the leaders in homers. However, those numbers aren’t sustainable, just like his .467 batting average on balls in play. Beckham, now 29, has had several chances to prove his value as a No. 1 overall pick, but has delivered a slash line of .255/.308/.433 in five MLB seasons. At this point in his career, he looks like a placeholder in Seattle until 24-year-old J.P. Crawford is ready to take over.